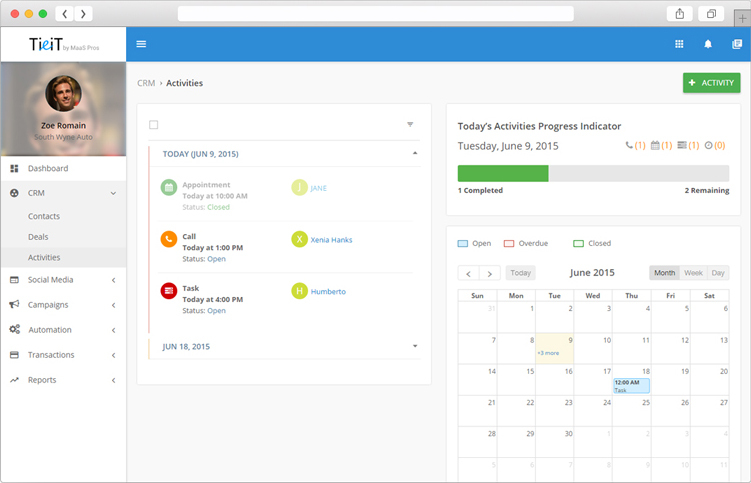 Our built-in CRM allows you to streamline your day with useful features that will keep you on track and help you focus on your core business. 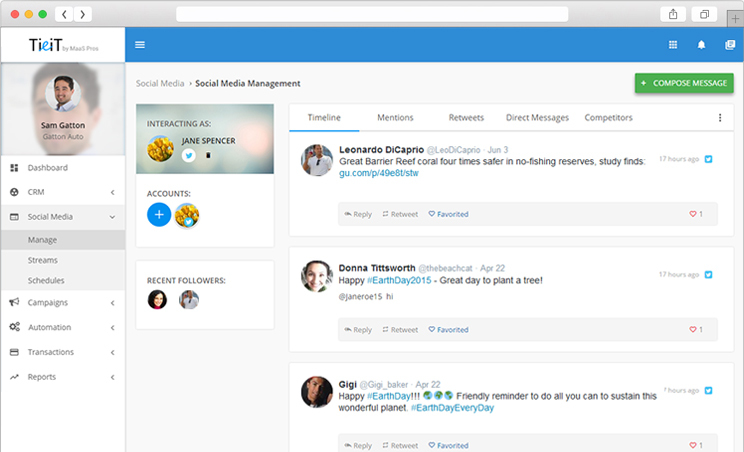 Now you can easily manage your Twitter account to view your timeline, messages, retweets and more. We also built-in a Stream feature, which will allow you to target leads on Twitter in a specific local area who are typing in keywords related to your business and the products/services that you sell. So if anyone in your local area types in those keywords, you will be notified so you can start connecting with new targeted leads. Create targeted email marketing campaigns to leads and contacts in your CRM to help increase engagement and customer retention rates. 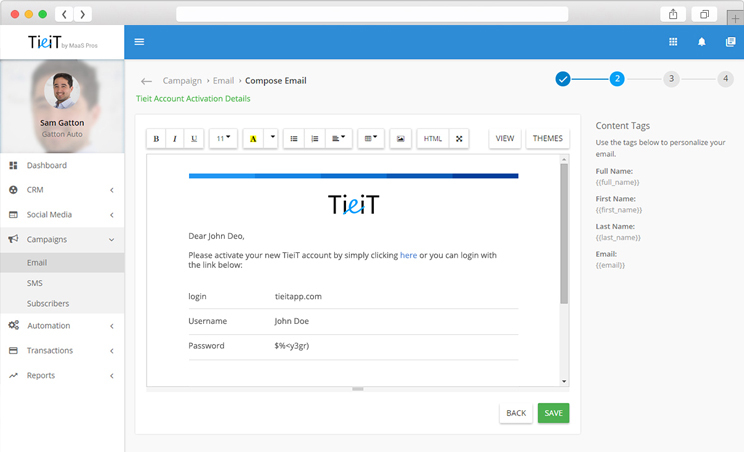 Our easy-to use design interface gives you the ability to customize the email marketing templates that are provided in TieiT to create email campaigns for your business. Send targeted email campaigns to multiple subscriber lists and view detailed reports. Make your business more efficient with built-in automation to create automated workflows to continually engage leads early in the sales process or to engage with past customers to improve customer retention rates. 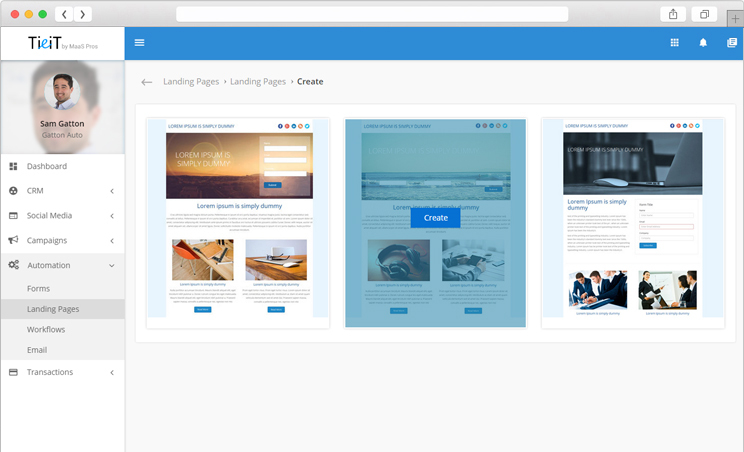 Select from high converting landing page designs to edit and customize for your business. Our easy to use in-line editing module will allow you to modify images, text, style, colors and more. Once you complete customizing and editing your landing page, you can instantly publish your landing page online and start tracking leads. Create landing pages for different products, services and/or events to help increase your conversion rates. Our CRM provides you with a timeline of activities from the first touch to the last touch you have had with a Contact or Deal. This way you can always keep track of what has been done with each lead. TieiT also tracks every leads behavior to ensure they are moving along the sales pipeline. Track your website analytics with our built-in Google Analytics and Marketing Insights to see where your leads are coming from. 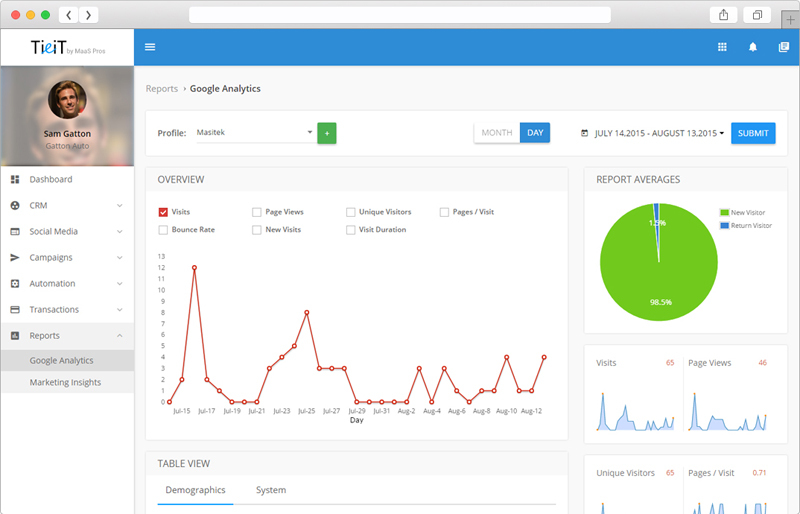 With Analytics, you can view your visitors, bounce rate, time on site, unique visitor rates and more without leaving the TieiT App. This way you can see how actionable data on how well your marketing efforts are performing. Create and send estimates and invoices to leads and customers in your CRM. 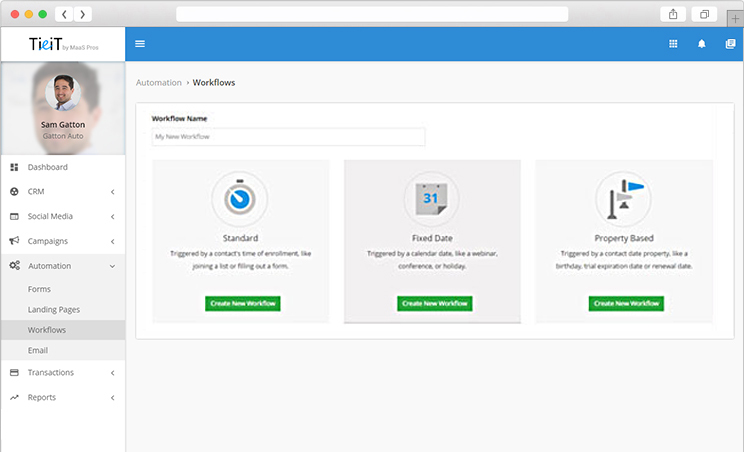 TieiT will indicate when an estimate has been viewed and accepted and will automatically convert that estimate into an invoice for your client to pay online. 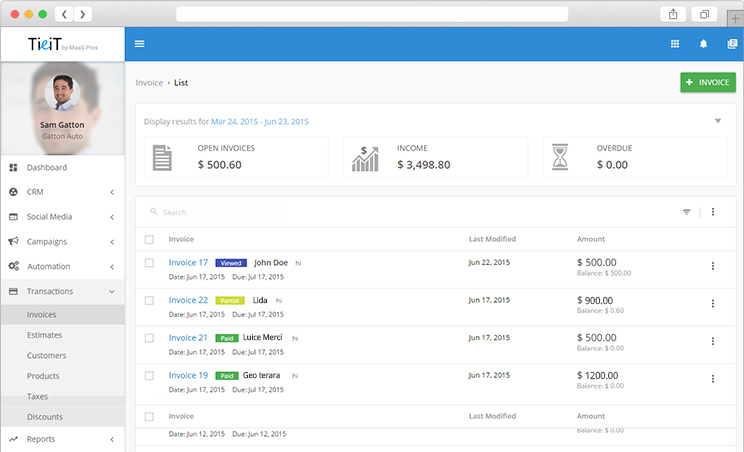 Now you can easily create branded invoices for your business and track paid, partial and overdue payments from customers.